Hurry this offer is ending soon! Enter your name and email address below for a free session on us! You’ll also receive email updates about any changes to our offerings, opening hours and special offers! Thank you! You can now come in for your free session! We'll see you soon! To see our other memberships click Join Now! Are you ready for a new and different gym, Lowestoft? Fitness Local is your friendly local gym and supplement store in Lowestoft! 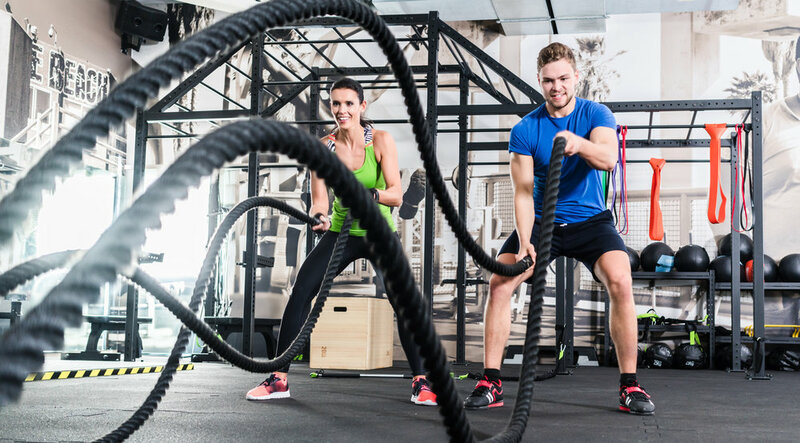 We firmly believe that our unique combination of great gym facilities, our own "Fitness Local" friendly, personal service and support from our attentive, qualified Trainers will get you the results that you want, all at a low cost that won't break the bank. Whether you are looking to lose weight, bulk up or simply get a bit fitter, we're here to help you every step of the way - your goals are our goals too. With full gym and classes memberships starting from just £16.99 per month* and no-contract options also available, achieving the new you has never been easier and more affordable. To discover the new you now, sign up easily online today or get in touch or come down to the gym for a tour! We'd love to hear from you! See what our members are saying here! We look forward to welcoming you as a Member soon. Book Your Classes Online Today! You can find out more about some of the classes we offer here and when you're ready to get started simply click the 'Book Class' button below! Members - Remember to have your membership number (this can be found on your membership card) and the email address you signed up with to hand, as you will need these to log in to the booking system. Non - Members - Our system will generate you your own unique number to use when booking classes. Please use this and your email address when booking, and have your card details ready when checking out. Are you looking for good tasting, great quality fitness supplements in Lowestoft? If you've not tried our products yet, then you're missing out! We're the best value independent supplement store in Lowestoft and we have the most qualified staff to advise you. No matter your goal, you'll find what you're looking for at Fitness Local. SALE NOW ON - 33% OFF SELECTED PRODUCTS! Free delivery or click & collect! Q. Where is Fitness Local? Q. What times can I use Fitness Local Lowestoft? A. Memberships can be set up online by clicking 'Join Now', selecting your desired Membership Package and completing the online sign up. Q. Can I try Fitness Local before becoming a Member? A. Yes, Day Passes are £4. Please pay by cash or card when you arrive. Q. What facilities are available? Facilities at Fitness Local Lowestoft include Functional Training Area, Free Weights, Cardiovascular Machines, Stretch Area and Resistance Machines. A. Yes, there is ample parking on site for members. Q. What is the minimum age to join Fitness Local? A. The minimum age to join Fitness Local is 16 years old. Q. Will my membership include classes? A. Yes - all memberships include free fitness classes, and additional premium classes are available at an extra cost. Q. Will I receive an induction? A. Yes, all Members are entitled a free, optional induction. Q. Are Personal Training sessions available? A. Yes, you can find a list of Personal Trainers at Fitness Local Lowestoft here. Please contact us to arrange a free consultation. What does £16.99 a month* get you at Fitness Local? Fitness Local's gym facilities have been specially designed to provide you with everything you need to achieve your fitness goals. Your Fitness Local gym gives you the tools you need to get results - we know you live a busy life, so we cut to the chase by providing more of what you need, and less of what you don't, helping you achieve the new you faster. Group Exercise is a great way to improve your fitness! Whether you are looking to lose weight, tone up or to simply get a bit fitter, there is a class at Fitness Local for you. Simply view our Class Timetable and start booking exercise classes online today! Free classes are included in all membership packages. Premium Classes are priced separately, please refer to our Class Timetable for details. For more information, click 'Join Now' to review membership packages; or click below to review our Frequently Asked Questions. At Fitness Local, we are here to help you every step of the way on your fitness journey. Our Personal Training really is personally tailored to you - your goals are our goals too. The guidance, expertise and motivation of Your Fitness Local Trainers will make your fitness journey a quicker, more successful one. All trainers are highly qualified and experienced, and sessions can be booked in club or by using our contact form, on a single session or bulk buy basis. Sessions are a surcharge to all memberships, however all members are entitled to one free personal training taster session after signing up! Please enquire within the gym or by using the contact form at the bottom of this page. Refer a Friend and Receive One Month Free! Use the form below to refer your friend. Once your friend joins and makes their first direct debit or annual payment, your next month will be free of charge! Want to hear what our members think? Here are some reviews from just a few of our members at Fitness Local. We know you'll love being a member of Fitness Local!